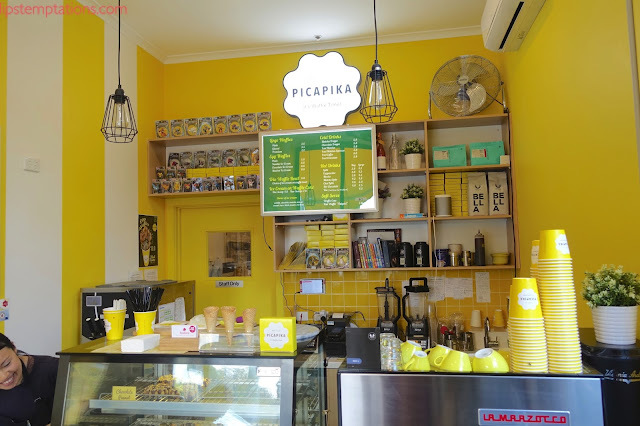 Picapika opened September last year, around the corner from McD in Glenferrie. It was easy to find, very close to Swinburne University, Glenferrie Station and Tram stop. Picapika is a petit cafe focus on Japanese-influenced waffles.They pride them self in making all waffles, freshly hand-made on site daily, with ingredients sourced from Japan, Belgium and Australia. The brightly vibrant yellow and white colours theme is so attractive and fun. 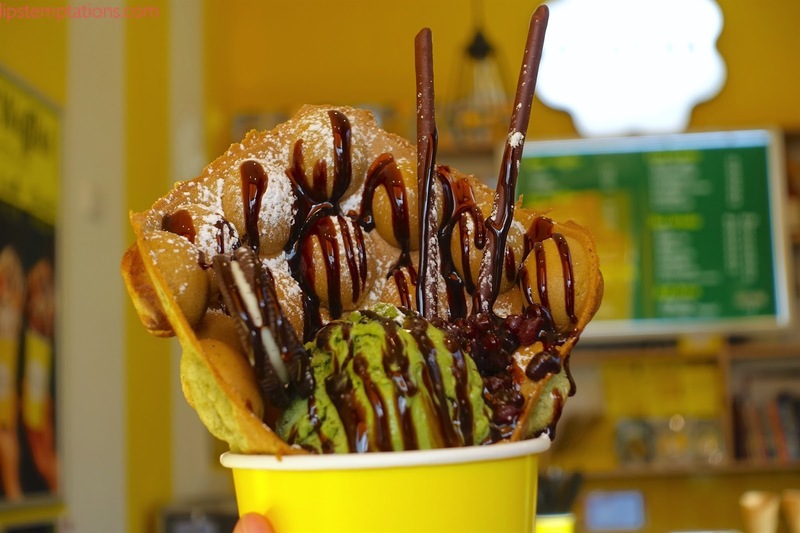 Co-owner by Jonathan and his wife, inspired by the popular Hong Kong egg waffle and decided to bring it to Melbourne. He is passionate about Japan and Picapika came from Pokemon, Pikachu. 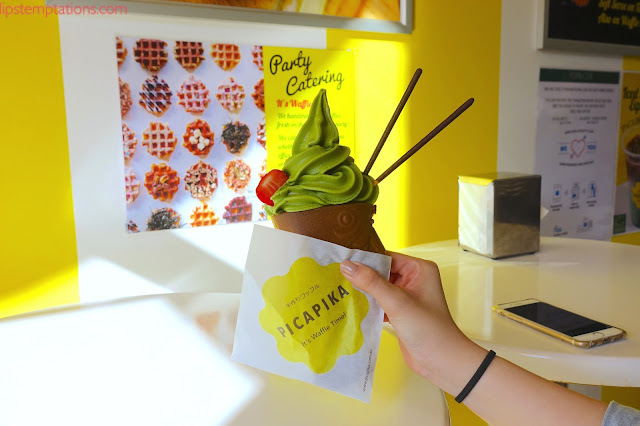 In terms of the egg waffles, you can choose from 3 main flavours: Vanilla, Matcha and Chocolate. I had to go with the matcha flavour. 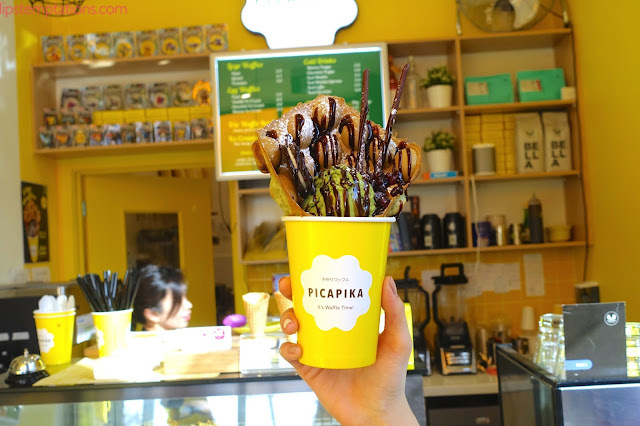 The egg waffle is served with a flavoursome matcha ice cream, red beans, chocolate pocky sticks, oreo cookie and chocolate sauce. The egg waffle itself had a fluffy, light texture with a crispy outside, nicely done. I also had to try their Matcha Taiyaki. 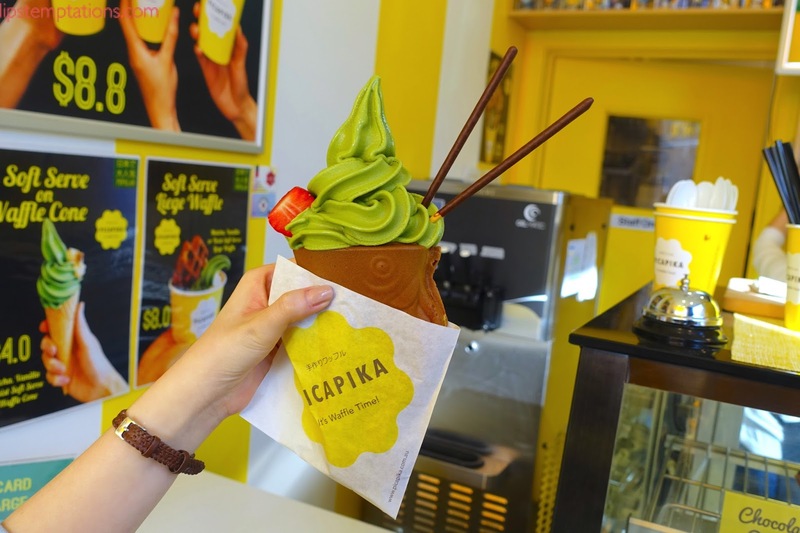 My first impression was I don't quite like the matcha soft served because it was way too watery for my taste, as well as I wanted more matcha flavours in it but the pastry was super crunchy and tasty. But the highlight was the red bean paste inside, it was creamy, sweet and delicious. 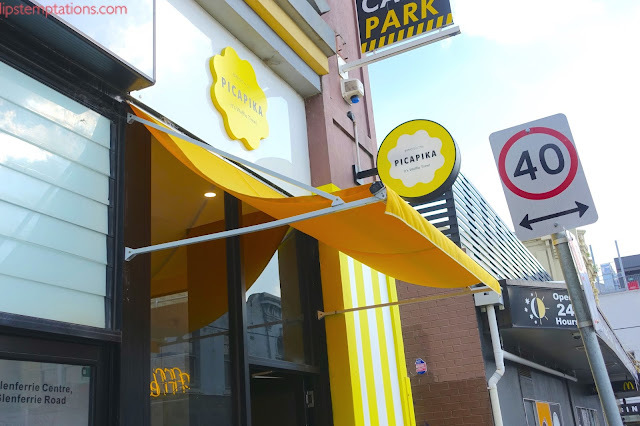 Finally, Melbourne had their very own taiyaki store. 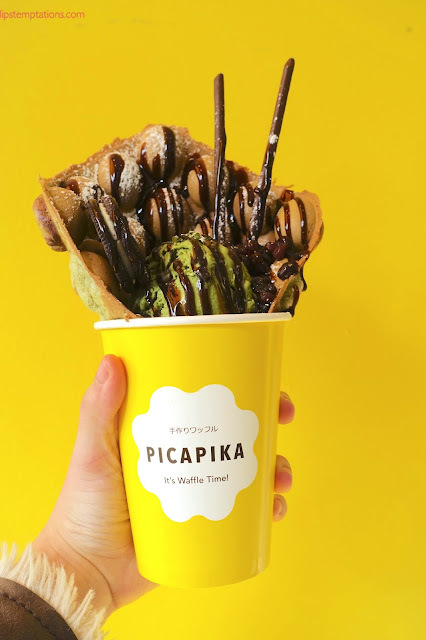 It's about time Melbourne had a specialise egg waffles and taiyaki cafe. Next time, I'll try their Belgian waffle and drinks.